View some of the latest trends in engagement and wedding bands. 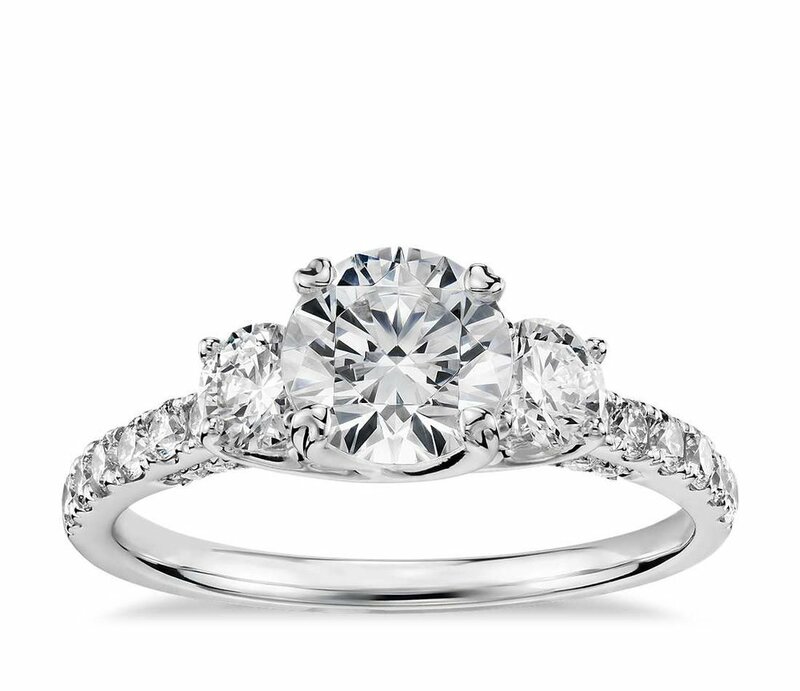 Diamond solitaire engagement rings are the ultimate classic. This timeless style is perfect for highlighting your stunning diamond. Three stone engagement rings, said to represent the couples past, present and future, are getting a revival thanks to Megan Markle's engagement to Prince Harry. The new wave of three stone styles are modern, sleek and timeless. Enhance the sparkle of your diamond with a halo of round pavé diamonds. These pavé stones flash with light and focus attention back on the center stone to create interest and draw people's gaze to your ring. Feminine brides have always loved rose gold, as a romantic and sweet look. 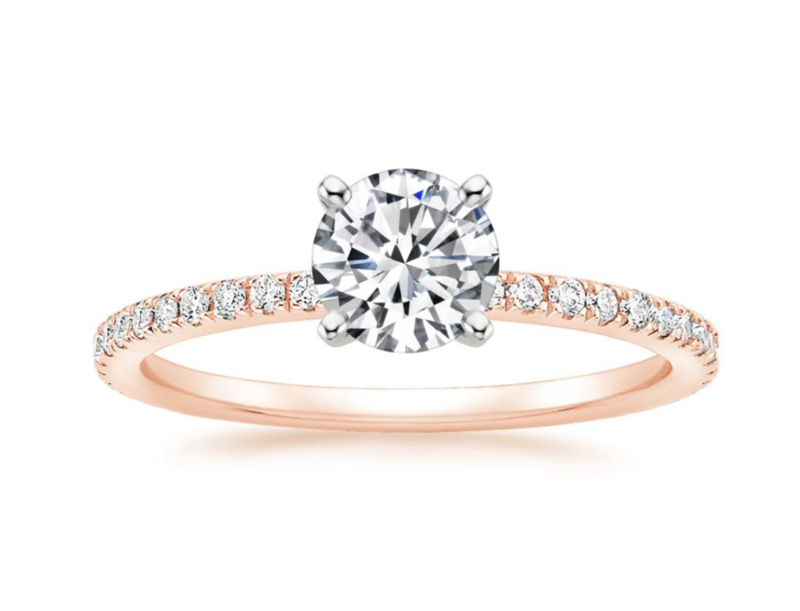 Rose gold is stunning alone, or paired with white gold. This spin of the classic round cut, oval engagement rings are more popular than ever. Fancy cut diamond like oval, pear, and emerald cut instantly elongate your finger. Some brides prefer a romantic vintage-inspired ring. If you like milgrain and beaded accents, this might be the look for you. Add a touch of color, with a sophisticated gemstone like sapphire. Many of opt in for custom designs for a unique look.